In 2013, Okeeheelee BMX was proud launch our very own Coaching program. We offer a wide range of instructional opportunities to our athletes. For the Novice proficiency riders, we host a series of clinics called the First 10 Weeks. Okeeheelee BMX piloted this unique training program. 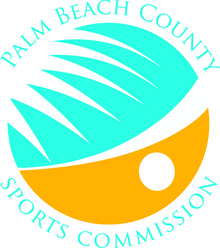 The program was later adopted as a national Coaching model by USA BMX. We also offer monthly Advanced Skills Clinics for our Intermediate and Expert Riders. These clinics are designed to improve the skill and conditioning of the advanced rider as well as develop good training habits. Lastly, one of our more popular offerings is weekly summer camps open to all ages and proficiencies. These clinics are not only instructional they are filled with fun activities. All of our clinics are run by USA BMX Certified Coaches. Each Coach must receive a character reference from the track operator, pass a background check, complete the USA BMX certification course and achieve a passing grade of 80% or better on the exam. In addition, proospective Coaches must be certified in Adult and Pediatric First Aid and CPR. There are only 130 certified Coaches and 340 USA BMX sanctioned tracks in the United States. That averages less than 1 Coach per track. Okeeheelee BMX is proud to say we have 4 of those certified coaches right here at Okeeheelee BMX: Dakota Cody, Mike Casas, Chuck Jones and Juan Carlos Carbo.